UNESCO inscribed an ancient technology for manufacture of Uzbek silk fabrics – atlas and adras into the Register of Good Safeguarding Practices. The Intergovernmental Committee for the Safeguarding of the Intangible Cultural Heritage meeting decided to include Margilan Crafts Development Centre, safeguarding of the atlas and adras making traditional technologies to the list. Khan-atlas is the pearl of Uzbekistan. In this beautiful fabric displayed the character and traditions of the Uzbek people. Khan's silk has a unique bright color palette, a smooth structure, symbolizing kindness, optimism and irrepressible energy. Margilan was the centre for making atlas and adras. The city of silk became famous all over the world with flowing iridescent patterns and embroiled silk fabrics. On the Great Silk Road in the Middle Ages merchants drove Margilan silk to Baghdad, Kashgar, Khorasan, Egypt and Greece. For many centuries, Margilan proudly supported the status of the silk capital of the East. 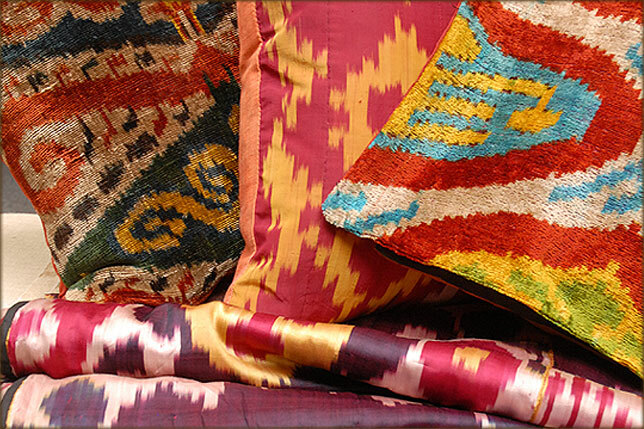 Its population has long been specialized in the manufacture of silk fabrics, which has won fame for its city. By the way, today Margilan is the largest center of silk-processing industry in Central Asia. Margilan enterprises producing silk cocoons and fabrics have gained wide popularity outside of Uzbekistan. The "Yodgorlik" factory in Margilan is the only one in Central Asia where the original hand-made silk production method has been preserved; Today the "silk" factory is also an important tourist object. The Festival of Traditional Textiles “Atlas Bayrami” (Atlas Festival) takes place in Margilan each year.